Potassium iodide has been used to help individuals exposed to radioactive forms of iodine that are released during nuclear events, such as Chernobyl. Potassium iodide works by flooding the thyroid with a safe form of iodine and preventing the harmful radioactive iodine from being absorbed by the thyroid. Whether they’re used in the hospital or your everyday first aid kit, many sterilization products contain iodine. It is an effective wound cleaner and eliminates germs on the skin before and after surgery. Iodine tablets, in the form of tetraglycine hydroperiodide, are considered the safest way to sterilize water on backcountry camping and hiking trips. However, use of these tablets can reduce thyroid function, so they’re best used only for temporary, emergency situations. Eating foods that provide enough iodine is a must when it comes to supporting your overall thyroid health. The thyroid, which is located in the neck, requires iodine to produce important, metabolic hormones that are needed throughout the body. People who are iodine deficient can experience fatigue, brain fog, lowered immune system health, and other symptoms. An extreme iodine deficiency can produce goiter, which is swelling of the thyroid gland. If you don’t get enough iodine in your diet, an iodine supplement can fill the gaps in your nutritional requirements and support a healthy thyroid. If you have an overactive thyroid, your metabolism may speed up, leading to weight loss and other issues. Normal iodine levels ensure the smooth functioning of the thyroid gland, which in turn helps regulate metabolism. Iodine is a vasodilator, meaning it encourages normal blood flow; thus it can also warm the body and steady the heart rate. 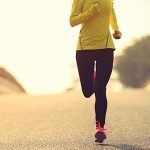 If you’re trying to boost your metabolism, your iodine intake is just one of the factors you should consider. As helpful as iodine is for the human body, it’s not gentle on harmful organisms. 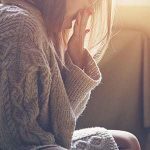 There are some commercially available 1% iodine-povidone throat gargle solutions that are helpful for a cough or a sore throat since iodine can kill germs causing the symptoms. Iodine was once used as an expectorant of mucus in cough medicines, but very few contain it in modern times. Much research is underway on the role of iodine in breast health and function. [9, 10] Iodine, an essential nutrient for a child’s proper growth and brain development, is passed on to children through breast milk. Because many nursing mothers are deficient in iodine, it’s especially important to be aware of your nutritional intake and alter your diet accordingly to receive all the nutrients you need. Research suggests a possible link between a lack of iodine and ovarian concerns, such as cysts, and other reproductive issues. 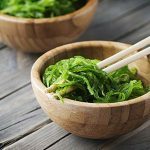 People who live in areas with high iodine diets, such as Japan, tend to have lower cancer rates. Low levels of iodine intake are thought to create a cascading series of hormone changes that lead to a hyper-estrogen state, which is linked to poor ovarian, endometrial and breast health. Children can suffer from mental illness and disabilities due to a lack of iodine. As a preventative measure, it is important that mothers get enough of this micronutrient. If that’s not achievable with food alone, I recommend using a safe and effective nascent iodine. 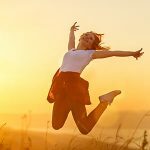 Iodine douches have been used to reduce the vaginal irritation, itching, and discharge associated with recurring yeast imbalances with excellent success rates. A lack of iodine can cause dry eyes, and iodine is used to address a number of different eye conditions. Since iodine is a broad spectrum antiseptic, it counters fungus, bacteria, and viruses, and is used around the world to prevent blindness in newborns. Povidone-iodine drops are often used pre- and post-surgery to keep germs out of the eyes and prevent infections. It is also a natural protectant against UVB radiation in the eyes. Iodine is commonly included in skin care products to help promote a clear complexion. Iodine is also a nutrient that supports healthy-looking hair. In fact, healthy development of skin, teeth, and bone all depend upon normal thyroid hormone levels, which depend on an adequate supply of iodine. Regarding its antioxidant activity, iodine is as important as vitamin C. Specifically, it is a strong antioxidant for the blood. Learn more about the benefits of antioxidants. Iodine is an essential micronutrient that’s readily available in a wide selection of foods. Although it’s best to get your nutrition from food, nutritional supplements can help where an imbalanced diet falls short. Taking an iodine supplement is a safe, and effective way to ensure you get the iodine your body needs. 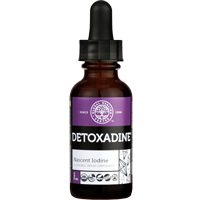 I recommend nascent iodine, which is one of the most bioavailable forms, which means the body readily absorbs it. 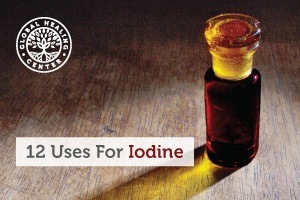 How do you use iodine? Is there a use we haven’t covered here? Leave a comment below and share your experience with us. de Benoist B, et al. "Iodine deficiency in 2007: Global progress since 2003." Food Nutr Bull. 2008 Sep;29(3):195-202. "Guidance: Potassium Iodide as a Thyroid Blocking Agent in Radiation Emergencies." FDA.gov. Dec 2001. Accessed 4 Apr. 2018. Bigliardi PL, et al. "Povidone iodine in wound healing: A review of current concepts and practices." Int J Surg. 2017;44,260-268. "The Extrathyronine Actions of Iodine as Antioxidant, Apoptotic, and Differentiation Factor in Various Tissues." Thyroid. 2013; 23(8),938–946. Georgitis WJ, et al. "An Iodine Load from Water-Purification Tablets Alters Thyroid Function in Humans." Mil Med. 1993;158(12);794–797. Delange F, Lecomte P. "Iodine Supplementation." Drug Safety. 2000; 22(2),89–95. Ross DS. 2016 "American Thyroid Association Guidelines for Diagnosis and Management of Hyperthyroidism and Other Causes of Thyrotoxicosis." Thyroid. 26(10),1343-1421. Berkelman RL, et al. "Increased bactericidal activity of dilute preparations of povidone-iodine solutions." J Clin Microbiol. 1982;15(4),635-639. Sugumar R, et al. "Absence of Iodine/Iodide in Cough/Expectorant Medications: A True Disclaimer or not?" Indian J Nucl Med. 2018; 33(1): 84–85. Ghent WR, et al. "Iodine replacement in fibrocystic disease of the breast." Can J Surg. 1993;36(5):453-60. Rappaport J. "Changes in Dietary Iodine Explains Increasing Incidence of Breast Cancer with Distant Involvement in Young Women." J Cancer. 2017; 8(2):174–77. "Iodine Deficiency, Pollutant Chemicals, and the Thyroid: New Information on an Old Problem." American Academy of Pediatrics Council on Environmental Health. Policy Statement. May 2014. Accessed 4 Apr. 2018. Ahad F, Ganie SA. "Iodine, iodine metabolism and iodine deficiency disorders revisited." Indian J Endocrinol Metab. 2010;14(1):13–17. Stadel BV. "Dietary iodine and risk of breast, endometrial, and ovarian cancer." Lancet. 1976; 1(7965),890-1. Zimmermann MB, Jooste PL, Pandav CS. "Iodine-deficiency disorders." Lancet. 2008 Oct 4;372(9645):1251-62. Yu H, Tak-Yin M. "The efficacy of povidone-iodine pessaries in a short, low-dose treatment regime on candidal, trichomonal and non-specific vaginitis." Postgrad Med J. 1993;69 Suppl 3:S58-61. Isenberg SJ. "The Ocular Application of Povidone-Iodine." Community Eye Health. 2003;16(46),30–31. Schmut O, et al. "Iodide protection from UVB irradiation-induced degradation of hyaluronate and against UVB-damage of human conjunctival fibroblasts." Graefes Arch Clin Exp Ophthalmol. 2004;242(4),279-83.
van Beek N, et al. 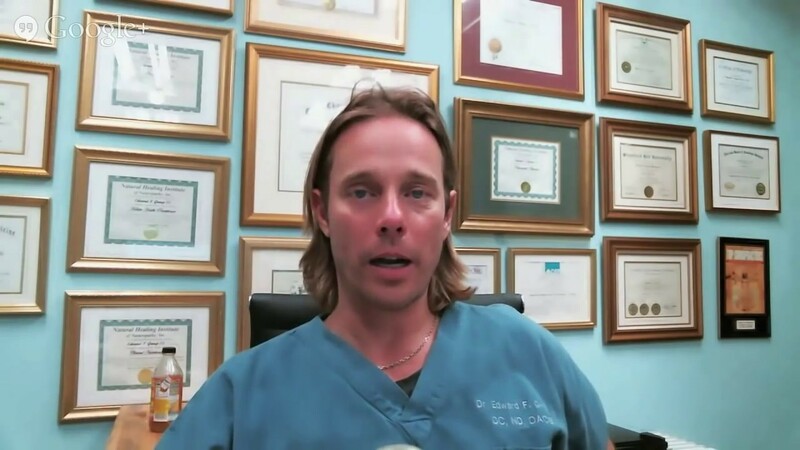 "Thyroid Hormones Directly Alter Human Hair Follicle Functions: Anagen Prolongation and Stimulation of Both Hair Matrix Keratinocyte Proliferation and Hair Pigmentation." J Clin Endocrinol Metab. 2008;93(11),4381–4388.